Thanks for stopping by. My name is James Huniford and I’ll be posting here regularly about interesting things I find on the Internet. I hope you find the information unique and valuable. Please feel free to bookmark the site in your browser and visit regularly! When preparing to travel to other countries and even within your own country, vehicle rental has traditionally been for those taking a business trip – company folks who require to go to from one place to another. Is spite of whatever “status” they might have, business people as well as normal travelers still opt to find and obtain the most thrifty car rental as possible. The problem with this is that traditional car rental agencies offer neither the selection or price at which leisure travel can be made enjoyable. If it’s a matter of cost, the available selection is almost nothing. And if you need a better selection, the price goes through the roof. Here’s where Turo.com comes in. Turo operates in hundreds of cities across the globe, connecting car owners with people who wish to rent the vehicle for both leisure and business. As an owner, you have specific control over your vehicle’s availability and price. As a renter, you have a wide selection of vehicles that are typically unavailable from traditional rental agencies. Take for example this listing for a Subaru rental in Denver. The listing states that the car is in great mechanical condition, includes a winter package and all-wheel drive, upgraded automatic transmission, Sirius XM, a cargo box or ski rack, and on-board WiFi, all at no additional charge. And you can get all of that for under $100/day. You’d never find such a deal at Avis. Convenience is always a factor when an individual rents a vehicle, and Turo also shines here. Rather than having to take the shuttle from the airport to the car rental lots, the owner simply meets you at the airport and delivers the vehicle in person. The sames time and confusion after a long flight, when the last thing you want to do is figure out where the shuttles are and which one you need to take. Finally, the site is built on a reputation platform, meaning that you’re able to see reviews on both owners and renters before making a decision on who you care to work with. – Look out for added ”amenities” when you’re booking. – Ask around, from your household, friends, and coworkers regarding the type of car they like to drive. See if you can find something comparable. – Having a spending goal should enable you to find a car within your budget and still be quite happy with your decision. For more information about Turo or the car sharing economy, visit Turo.com or feel free to check out this informative video put together by the company. With a little bit of research beforehand, you can find the ideal car for your trip to the mountains, beach, or city! In the end, when it applies to finding reasonably priced car rentals, don’t forget about the quality of service which should to matter to you, and Turo provides both! Either it’s a party or wedding, you need a photo booth to capture those special memories. Life is short so why not capture moments that are precious to you. Photo booths give you a unique sense of feeling that doesn’t emerge while using a personal DSLR or cell phone. They create excitement, bring life to the party or event, and gives you wow factor with instant prints. There are many type of photo booth available for costume parties, weddings, and those special events. You can choose photo booth based on background of your event. Photography is an art that reminds us of special memories that we spent with our friends and family. The beauty of these photos increase when they put a smile on our face. You won’t believe but photos captured in photo booth are special because they are sudden. You are with your friend and suddenly you want to have a photo with a funny or smiling face. Party Photo booth: They are great for parties because they allow you to capture the memory. Either it’s a costume party, friendly gathering, or dance party. These photo booth are available in various shape and designs. Wedding Photo Booth: It’s your wedding and if there isn’t a booth then you could miss a lot of fun. After wedding you want to capture photos with friends? Booth make it easier for you. They give you sense of privacy with friends, family, or spouse. Classic Photo Booth: Say cheese after having a special event or occasion. These are available in many shapes and sizes. If you are having a mega event then classic photo booth outside is the best entertainment you can offer. People usually attend special events with friends or family, and with a classic booth you encourage them to make it a memory. Customize Photo Booth: If it’s your business event then you may need a customize booth to increase your marketing campaign. 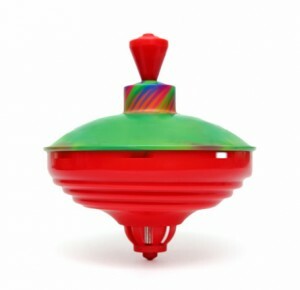 People usually focus upon little things like gifts, photo booths, and comfortable environment. Providing these along with customize booth will increase marketing and at the same time people will enjoy taking pictures after attending business event. If you are planning the occasion then there are different type booths you can choose. One example might be the Foto Fuego photo booth. One of the best method is to select booth based on the theme of event. In case you are having a party then vintage or fancy booth may suite well, but if it’s a wedding then choose decent photo booth so that you along with your friends can capture that special memory. If you want people to remember your party, wedding, or event then photo booths make it possible. After some time when people will go through the photos, they will remember how great it was to have a booth for capturing images at that special party, event, or wedding you organized. Article spinning is a research engine optimisationSEO) technique where search engine optimizers post an original variation of useful content on article directories, internet 2.0 websites, or other resources for backlinks. It’s sometimes used by site writers on their own websites but generally prevented because the quality of rewritten content will almost always be lesser than handwritten content. Rewriting works by rewriting present posts, or components of posts, and replacing unique words, phrases, sentences, and even whole paragraphs with any variety of alternative variations to supply a somewhat distinct variation with each spin. This procedure can be fully automated or re-written manually. Yet, most uses of rewritten content are regarded a black-hat Search Engine Optimization junk practice. The reason being most rewritten content is generated through automated systems and is considered person unreadable. Such content is useable for mass publishing on non-editorial websites solely for Search Engine Optimization; by definition, junk. Article spinning needs “spintax.” Spintax (or rewrite syntax) is the listing of text, sentences, or equivalent words which can be embedded into a post. The wanted synonym options are substituted by rewriting app into the chosen post as a way to create a fresh, exceptional version of the base post, to produce a post out of spintax. You can use a service like the free article spinner or, in addition, an article spinner api can allow you to integrate the spinning capabilities of a first-class spinning service into your own home-grown software. Automatic re writing can alter the significance of a sentence through using words with comparable but subtly distinct significance to the authentic. By way of example, the term “graphic” could be changed by the term “image” or “photography.” Thousands of word for word blends are saved in either a document or data-base thesaurus to attract from. This guarantees that the substantial percent of words will vary from your initial post. The trouble with uncomplicated automatic composing is that it can not understand circumstance or grammar in using phrases and words. As an example, “United Kingdom” could be car rewritten to “Great Britain”. While “excellent” could be regarded a synonym for “terrific”, “Excellent Britain” surely will not have the exact same significance as “United Kingdom”. If you have troubles with automated rewriting, web site owners may pay authors to execute higher quality rewriting manually. Authors may additionally rewrite their own posts, letting them sell the exact same posts with minor variations to numerous customers or to use the post for article promotion, for instance as content as well as for multiple functions. A significant online security vulnerability dubbed “Heartbleed” can put your individual information at risk, consisting of passwords, charge card details and e-mails. 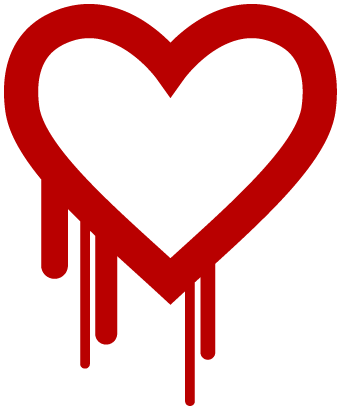 Heartbleed is a flaw in OpenSSL, an open-source security technology that is made use of by an estimated two-thirds of Internet servers. It lags many HTTPS sites that collect personal or financial details. These websites are typically shown by a lock icon in the browser to let website visitors know the info they’re sending online is hidden from prying eyes. Cybercriminals can exploit the bug to gain access to visitors’ individual information along with a website’s cryptographic secrets, which can be utilized to impersonate that website and collect much more info. It was found by a Google analyst and an independent Finnish security firm called Codenomicon. The analysts have actually installed a committed website to respond to typical questions about the bug. They even gave it an adorably gruesome custom-made icon.